WPPI’s most awarded photographer and first Grand Master, Jerry Ghionis will teach you how to add that finesse and next level of sophistication to your lighting, posing and overall finesse that will make your work truly shine. In his easy to understand and heartfelt inspirational style, Jerry will break down the steps to understanding creative triggers that will spark your thought process giving you a system to follow when you’re under pressure and are struggling to come up with your next idea. In the afternoon, Jerry will demonstrate how he brings out the best in his subjects and locations in a live shoot. You will witness Jerry create amazing pictures in front of your eyes with models as he shows you how to pose purposefully and create luxurious light. He will articulate his thought process, technique and complete his vision as he proves his in camera artistry. All photos will be reviewed the following morning for a detailed review. Witness and learn the art that comes before Photoshop. Your greatest asset when photographing people is your ability to connect with them. Few do this better than world renowned portrait, fashion and wedding photographer, Jerry Ghionis. He will teach you how to build trust and relax your clients so you can make them shine brighter than ever before! As a 25 year veteran of photographing people and teaching fellow photographers all over the world for over 18 years, Jerry is a master of communication. He will help you to effortlessly make your clients laugh, cry and hold their breath. Jerry will discuss how to communicate the value on something that is priceless? How do you convince a "digital" clientele to appreciate the power of print? How do you create meaningful and soulful photographs for your clients that are irresistible? Jerry Ghionis will answer these questions and more as he’ll empower and motivate you to be the best you can be to create a thriving business and legacy for you and your clients. Jerry will share some never-before-seen work that promises to be the perfect and fitting finale to your experience. You will be educated, inspired and entertained by Jerry whom PDN magazine named as one of the top photography workshop instructors in the world. 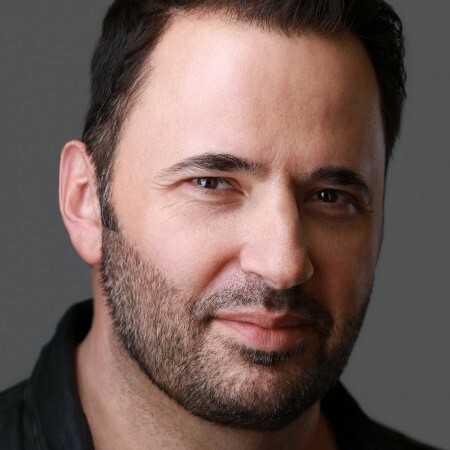 Widely regarded as one of best wedding and portrait photographers in the world, Jerry and his wife Melissa are based in Las Vegas, USA but is a proud Greek as he was born and raised in Melbourne, Australia which is the world’s second most populated city of Greeks in the world. 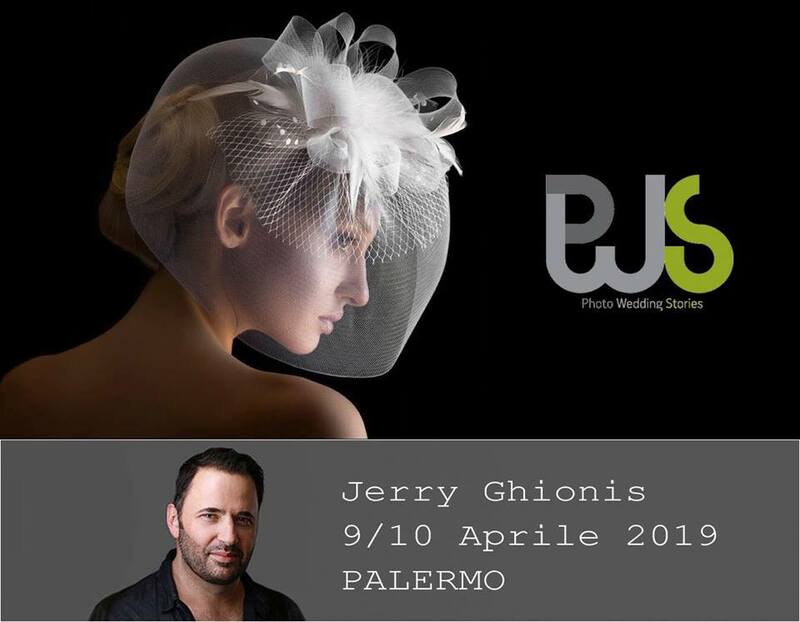 Jerry is the most awarded photographer of the Wedding & Portrait Photographers International organization (WPPI) and became their first Grand Master. He was also included in their list of top five wedding photographers in the world. Jerry was also named by American Photo Magazine in their first list of top ten best wedding photographers in the world and was also given a United Nations Leadership Award by the International Photographic Council. A Nikon Ambassador, Jerry was named the Australian Institute of Professional Photography (AIPP) Fashion Photographer of the Year and represented the wedding and fashion industries in the landmark Nikon D850 camera campaign. Named by PDN magazine as one of the top photography workshop instructors in the world, Jerry is also the inventor of the revolutionary Ice Light (a portable hand held LED light) and the world's first 15-in-1 reflector, the Omega Reflector. The Jerry Ghionis brand has become synonymous with excellence, mastery and innovation in the photography industry.